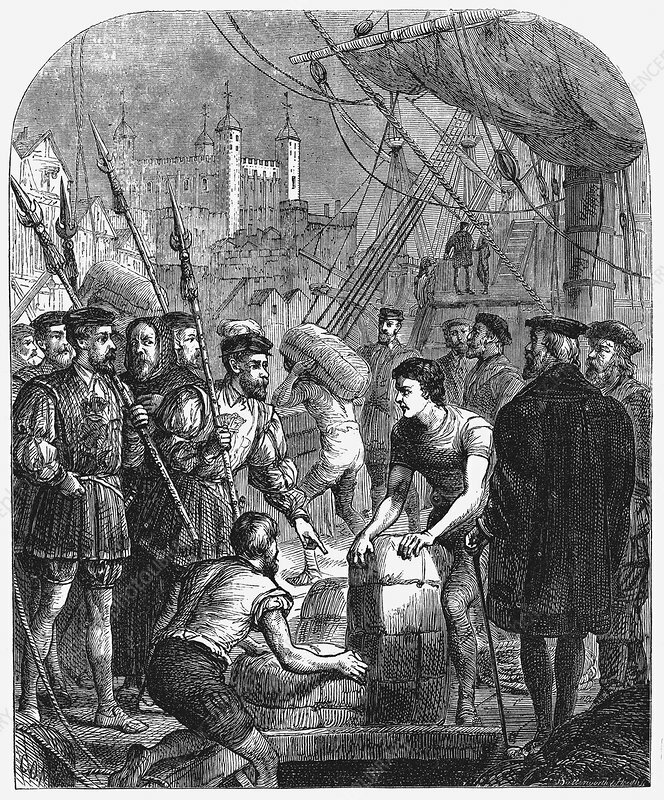 William Tyndale's translation of The Bible being smuggled into England, 1536 (1877). Copies of Tyndale's vernacular Bible brought into England concealed in bales of various goods. Wood engraving.